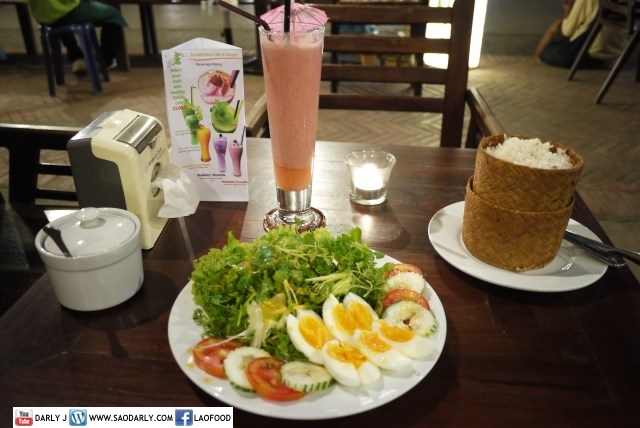 After checking out the food stalls at the Night Market in Luang Prabang I decided to have Luang Prabang Salad and Strawberry Smoothie for dinner at Ancient Luang Prabang Hotel Restaurant. 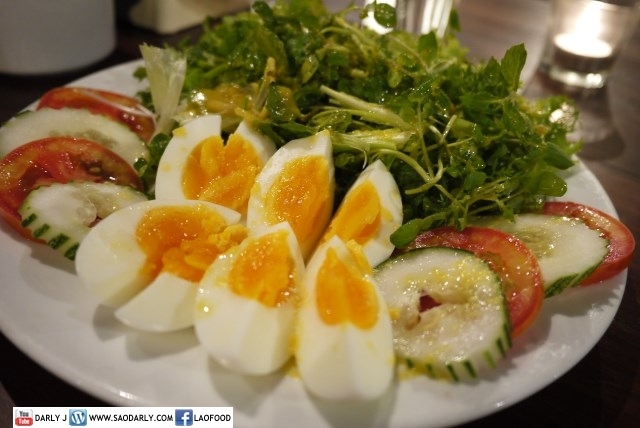 The weather was quite warm and I was not that hungry and what a better way to start out my first night in Luang Prabang than to have Luang Prabang Salad. 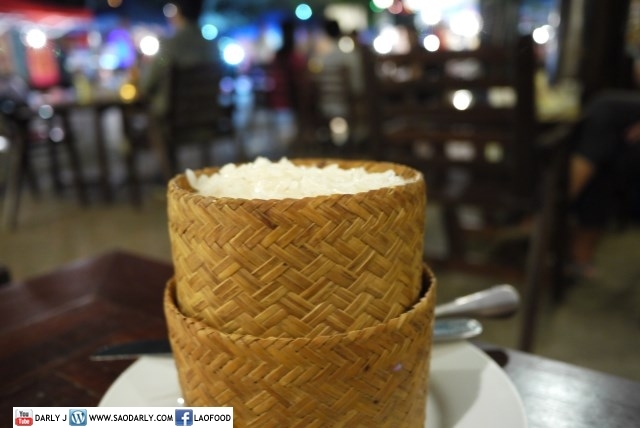 By the time I was finished with my dinner there was still half of Luang Prabang Salad left and plenty of sticky rice.